This green tin sign is both green in color and in its message! Actually, it's taking a rather indirect view of air pollution, but that's what makes it funny. 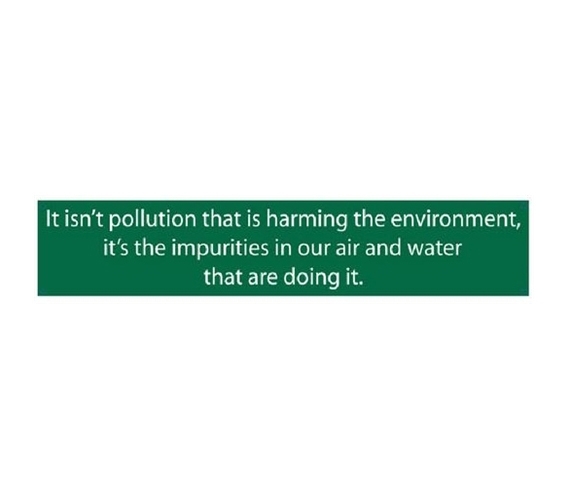 This Pollution - Funny Tin Sign will be a great addition to your dorm wall decor and will be a reminder to all those who don't believe that air pollution is a big deal! While it's not quite political, this funny tin sign will still get a few reactions from roommates, hopefully a humorous reaction! Your wall decor for college really helps to define and bring character to your dorm room, so make sure you have some humorous tin signs as part of your dorm stuff.